When two heavyweights like Ashwin Sanghi and James Patterson join hands, the book lovers can’t wait to savour the delicacy. The icing on the cake was when BlogAdda announced the book up for review. Playing the fastest fingers first on the keyboard, I waited with bated breath to read the book, the Indian chapter of the much talked about Private series. Then ting tong, the door bell rang, and the book was in my hands! The Indian arm of the World’s finest investigation agency, Private India has a strange case that nobody seems to crack. The mastermind is on a killing spree, leaving his target with a little garnish on the body to add to confusion. Nobody knows who the next target can be – a doctor from Thailand, a politician from Mumbai, or an upcoming pop singing sensation, the targets are random, or so it seems. The only thing that connects the killings is a bright yellow scarf, a return gift from the killer to the corpse. While the reputation of Mumbai police and Private India is at stake, Santosh Wagh and his team are assigned this hard nut to be cracked. Even the best of brains are finding it tough to keep pace with the killer, for the moment they join the dots, the killer presents them a new gift, bringing in new confusion. Just when the team is busy trying to crack the case, one of the team members receives the same yellow scarf in her car. Could she be the next victim? With the finesse and high success rate, the killer swiftly make the next move before anyone can get an idea of the plot simmering in his mind. 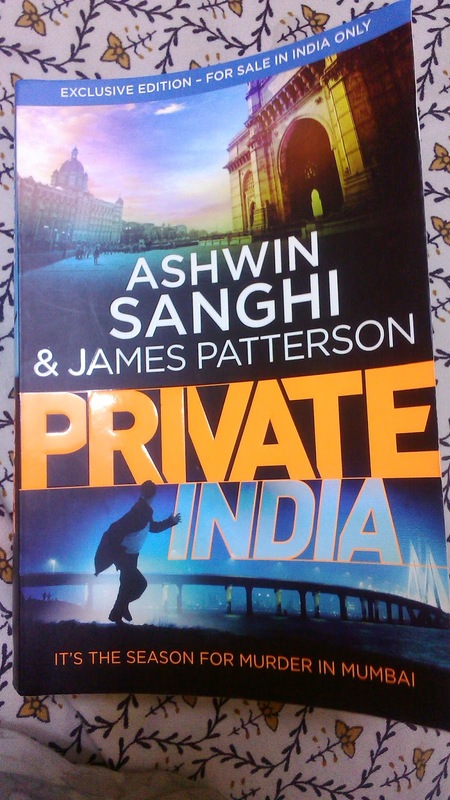 Looking at the number of pages, I was a little skeptical whether the book would meet my high expectations from Ashwin Sanghi and James Patterson. But true to the words on the back cover, the pages turn themselves! The duo has been successful in holding the readers’ interest as I literally fought my sleepy eyes as I stayed awake till the wee hours of the morning to know who the killer was. Yes it was 400 something page wait, but totally worth it. The pace of the book is real fast and it’s a struggle with sleep to keep down the book when you still want to know details of the killer. The story telling is beautiful, sans any drags. authors, this is the least expected.